With their bright eyes and wagging tails, it can be hard to believe that dogs can suffer from poor mental health, particularly depression and anxiety. While they may cheer up the moment you walk in the door, your dog can spend his days laying around the house just waiting for you to come home. Being a good dog owner means doing more than just keeping their food and water bowl filled — it’s about making your pup’s life the best it can be. If you notice your dog is sleeping more than normal, not eating, or has lost interest in things he once loved (like playing with his favorite toy) it could mean your pup is depressed. Just like humans, a dog’s mental health is largely tied to his physical health. Daily exercise is vital for a dog’s overall health. Studies show that just 10 minutes of exercise can help a dog relax for hours. Though a walk around the block is great daily exercise, you should consider mixing it up once in a while. Going for a hike, to a dog park, or playing with toys is a great way to keep your pup excited about getting up and moving. Did you know that dogs can get bored? When they do, they tend to act out. If your pup is chewing up shoes or grabbing things from off the table, he likely needs more stimulation. New toys, games, obedience training, and doggy play dates will keep your dog happy and healthy. Something as simple as changing up which block you walk down at night can be enough to excite your dog. While dogs like some level of routine and consistency, they also enjoy a change of pace once in a while. Dogs are pack animals. 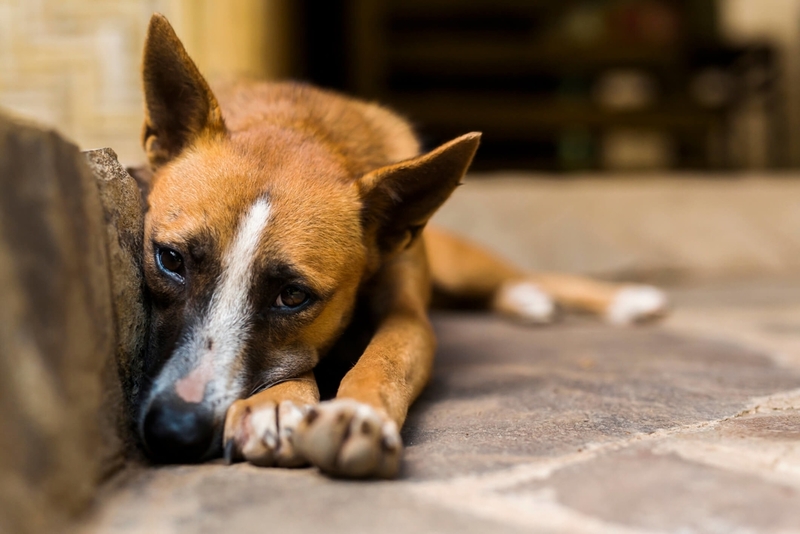 Leaving them alone for long periods of time without another person or dog around can contribute to boredom and even cause them to be depressed. If you work all day or travel a lot, consider sending your furry friend to Camp! At Camp Bow Wow, you’ll feel great knowing that your pup is safe, exercising, and socializing with other people and dogs.